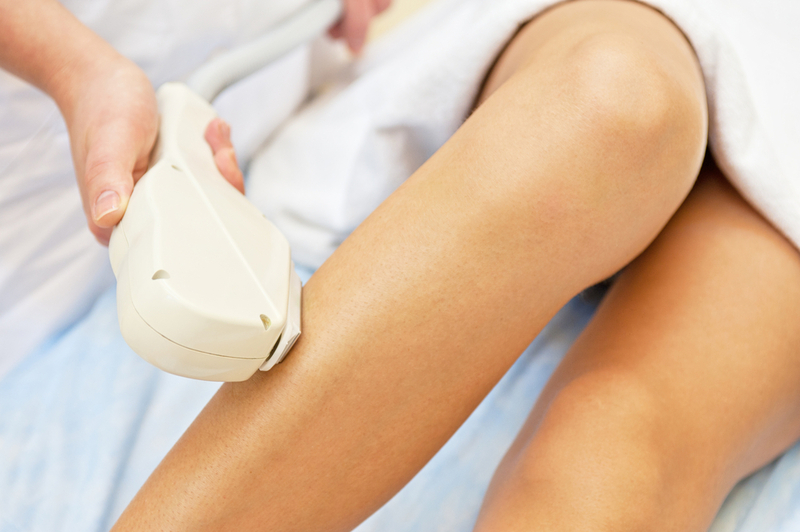 Laser hair removal is one of the most popular cosmetic treatments in the U.S., as it allows men and women to remove unwanted body hair and prevent it from growing back. Laser hair removal is performed in our clinic treatment room by a registered nurse utilizing the Syneron Candela GentleYAG system. You will wear protective eyewear, and a topical anesthetic may be applied to your skin prior to the procedure. A concentrated laser beam will be guided over the treatment area, targeting the dark pigment of each hair and killing the follicle beneath. Most people experience a noticeable reduction in the amount of hair re-growth after a single treatment, although additional treatments will be necessary to achieve optimal results.